What do you mean by “kingdom disciple”? There’s a need for disciples in individuals, in families, in churches, and in communities. What does a disciple of Jesus look like in each of these areas? How can pastors gauge how they are doing in regard to disciple making in their churches? Is discipling men different from women, or the same? How do we disciple men? What challenges do men face not only in the area of discipleship, but also in life in general? GUEST: Dr. Tony Evans is the founder and senior pastor of Oak Cliff Bible Fellowship. A man of many hats, Tony is the president of The Urban Alternative, chaplain of the NBA Dallas Mavericks, and author of over 100 books, booklets, and Bible studies. Tony was named as one of the 12 most effective preachers in the world by Baylor University. Back in June we ran a post entitled Three Environments for Disciple-Making about three spaces, or environments, to consider in your mission of making disciples. The environments identified in this post were Life-on-Life, Life-in-Community, and Life-on-Mission. 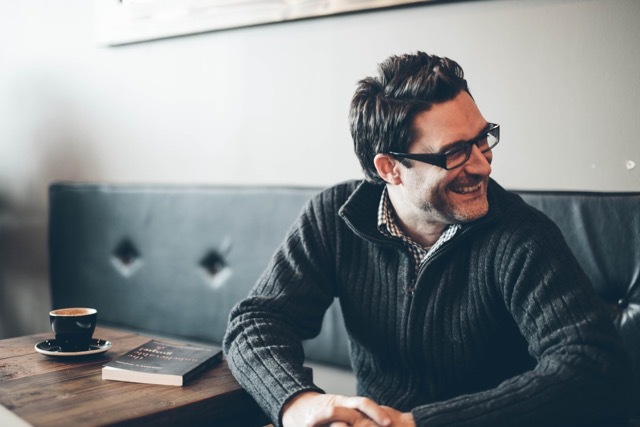 Rick Howerton and I have addressed notions of disciple-making environments on the Groups Matter podcast to some extent, but as a follow-up I wanted us to hear from the author of Gospel-Centered Discipleship, Jonathan Dodson. In Gospel-Centered Discipleship, Jonathan unpacks City Life Church’s approach to Life-on-Life groups, or what City Life calls Fight Clubs. It’s also worth noting that Jonathan is one of the contributors to the successful Disciples Path series that is now available. So it is in this spirit that I caught up with Jonathan Dodson for an installment of five questions. First thing, Jonathan, tell us about Fight Clubs. What is the objective of this disciple-making environment at City Life and how do you feel it is different from other disciple-making environments? When we started the church almost ten years ago, we knew we would eventually be unable to disciple everyone. We were also planting in a city where sin is often celebrated and holiness is mocked. Every Sunday is a second Saturday, when you can even go to a “Sinner’s Brunch.” Yet, the Bible insists that without holiness, “no one will see the Lord” (Heb. 12:14). And in the midst of this, we wanted people to understand that holiness isn’t something you create. It originates with the Holy Spirit and is generated through belief in His gospel. So we wanted to avoid rules-driven “holiness” in favor of gospel-motivated discipleship. This motivational center makes Gospel-Centered Discipleship stand out among many practice-centered models. Enter Fight Clubs, groups of 2-4 men or women who gather regularly to repent of sin, rejoice in Christ, and reproduce disciples. We created Fight Clubs to stress the importance of faith that fights to believe God’s good and true promises and to reflect the glory and beauty of Christ in our world. Our approach is not unique, but it differs from many Western models because it is communal. Not 1-1 but 1-1-1-1! C. S. Lewis is known for his love of deep, male friendship. When one of his friends died, he commented that the surviving relationships were not the same. The “third” friend brought out something in them that they could not bring out in one another. This is also true of female friendships. Communal discipleship picks up on this insight to foster shared urgency and wisdom for living like Christ in all of life. Fight Clubs are in addition to ongoing groups. That is, you’ve asked for an additional commitment from Fight Club participants. How did you successfully introduce Fight Clubs to City Life Church as a disciple-making opportunity in addition to ongoing groups? We’ve stressed the importance of holiness, the necessity of the gospel, and the opportunity of friendship. I make a distinction between friendship and community. Community is based on non-elective relationships; friendship is based on elective relationships. Basically, you get to pick your friends (Fight Club) but you don’t get to pick your community (City Group). Community is great for us because it creates an environment where we have to depend on the gospel to love and serve people who are different from us. Friendship is a safe place to work out discipleship challenges in a deeper way that takes longer in bigger community. The appeal of being known at a deeper level is something that resonates with people today. To launch them, I preached a sermon on it and gave some guidelines and people started forming them all over the city! Next question: We all know that leadership requires training. How does City Life prepare leaders not only to facilitate Fight Clubs but also to begin new ones? Our training process is limited and organic. I’ve written material to help people, so they read Gospel-Centered Discipleship, at least the last third of the book, and then discuss it and start a Fight Club. The classroom context is adequately addressed through sermons, city seminary, and seminars. People can take what they learn in the classroom context and apply it to Fight Clubs. We believe that while Fight Clubs are present in all three contexts to a degree, they are mainly driven by community and the rhythms of cultural life. These discipleship contexts require the least training. Once a Fight Club grows beyond three or four, an individual or two will spin off and reproduce what they have learned. In this way our Fight Clubs become a pure apprentice model. We occasionally have a men’s or women’s event or retreat—which creates a context for friendship to form—and encourage event participants to seek out others who will fight the fight of faith with them. Like I’ve already said, Fight Clubs are friendship based. Because of this I don’t think the church should tell people who to be friends with. We need to seek that out for ourselves. This is what Jesus did with Peter, James, and John. Here’s a purely functional question: What does a Fight Club “do” when it gets together? Fight Clubs are simple and biblical in their content and follow a progression of Text-Theology-Life. (Well, they’re supposed to!) 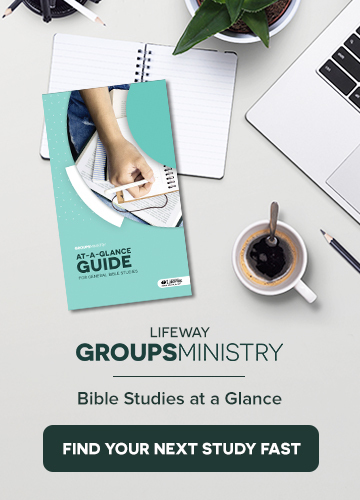 Often, discipleship groups follow Life-Theology-Text and never get to the biblical text. We catch up on life, share our sorrows, complaints, and temptations, but often fail to get to the source of wisdom, comfort, and power in God’s Word. In our Fight Clubs, we stress the importance of beginning with prayer to ask God for the power to change, and then move into shared reflection on a given biblical text, which over the week or two has raised all kinds of issues in our lives that the Spirit has been addressing. By the time you get to a Fight Club meeting, you’re eager to talk about how God is working through His Word to shape you. This becomes contagious and helps our friends see our responsibilities through the text and Christ-centered theology, instead of seeing life through only our responsibilities and failures or struggles. How have you seen Fight Clubs contribute to the ministry of the church and the discipleship of Fight Club participants? They have helped people get through very difficult seasons in marriage, parenting, doubt, and suffering. They are, in a sense, little counseling communities that enrich the church as a whole and make much of Christ. They don’t reproduce as often as I’d like, but it’s also hard to say goodbye to a friend. I get that. They can take the form of mentor groups, where I meet with a couple younger in the faith, or peer groups, where we are in generally the same place in life. Women and men do them, and we’ve had more women in them at times. Women don’t mind the name—they actually like it! We don’t have youth Fight Clubs because most of our kids are elementary age and under, but many youth groups do them all over the country. I get texts and tweets quite frequently from youth pastors thanking me for the book and showing me their Fight Clubs in action! I look forward to forming those at City Life. It’s great to hear from Jonathan. I recommend you check out his blog at jonathandodson.org. You can follow him on Twitter @jonathan_dodson. He is the founding pastor of City Life Church in Austin, Texas, which he started with his wife, Robie and a small group of people. Jonathan tells me that he and Robie have three delightful (most of the time!) children. 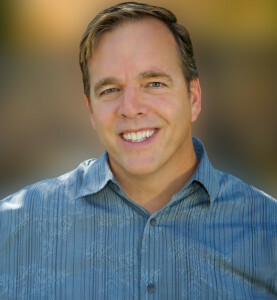 Additionally, he has helped start numerous missional organizations and is the founder of the resource ministry gcdiscipleship.com. He is also the author of Raised? : Finding Jesus by Doubting the Resurrection and The Unbelievable Gospel: Say Something Worth Believing.